Over the weekend, I got a little time for stamping, but my mind was definitely on the new baby, Grayson, so I had to make a couple baby cards. This card is CASEd from Mary Dagostino, another demonstrator in my group, and I got the original in a swap sometime last year. I liked the little baby carriage, but I struggled with the same color behind it. I gave the solid papers a different texture, hoping to make a difference, but I ended up sponging the edges of the carriage hood to make it stand out a little more. It was kind of difficult to photograph, and see the textures and definition, but it looks really cute in person. You'll just have to take my word. I did one in Pretty In Pink, and the other in Pool Party (I had no baby blue in my stock that I took to the cabin), and the DSP I used is from retired papers I had in my scraps. I made a few of each color to add to my stash for the upcoming craft sales in late September. It doesn't matter what time of year, people are always looking for baby cards. I will enter these cards in a couple challenges. 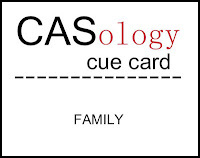 First is the challenge at CASology where the cue was FAMILY, (and the baby is the new addition to our family). The second challenge is from Simply Stampin' Challenge where the cue was BABY, BABY, and this hits that target, too. 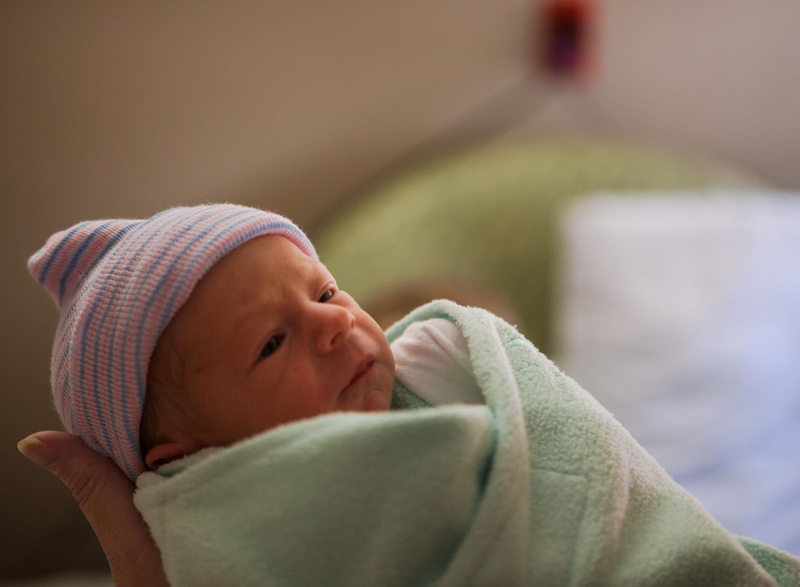 Our sweet new, little Grayson, is pictured here at about 12 hours old. He looks like a serious little old man. He is our special little blessing, and we are so glad he is here early, as we could not wait to meet him. I'm sure you will be seeing more of him here, too. Hope you liked the cards, and stop back again soon. Love how you made these baby buggies! And I'm in love with your grandson! Look at that serious face! Thanks for playing along with CASology this week! Awwww, Mary Alice, these are adorable baby cards and the way the prams are made is wonderful - love the pearl handles! Fab texture too! Thanks so much for playing along with us at Simply Stampin' and I hope we see you again soon! A perfect little serious face. Gorgeous card, so much fun. Thank you so much for joining us this week at CASology! lovely baby cards... your grandson is so sweet!! thanks for playing along with CAsology!! Awww! Your grandson is so sweet! I always forget how little they are when they arrive in this world!!! What a great baby card. The baby is so cute.